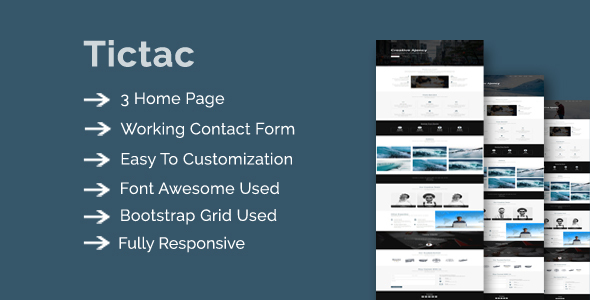 Tictac is Responsive Onepage Creative Multipurpose Template fresh and clean Design. It makes for personal/ajency/corporate/business websites, freelancing and other businesses. It looks perfect on all major browsers, tablets and phones. Just take the best Template of your choice, change the text, add your images and done! Tictac is fully responsive and built with bootstrap framework, be sure that it will fit any viewing device.